Every day the risk of sustaining a burn is around us – it can either happen at home, in the workplace or even in public areas. As a matter of fact, burns are considered to be one of the most common household injuries, especially among children. A severe case of burns causes the skin cells to die and requires extensive medical attention for a long period of time. On the other hand, minor burns can be treated with a cream and heal within several weeks. It is important to understand the types of burns and their classification to know when it’s time to seek medical help. Miami burns expert have listed the information you need to know about the different types of burns. A thermal burn happens when you have touched something that is hot. It typically comes from flames or fire, explosions, hot liquids or steam, and hot objects like cooking pans, irons or heated appliances. Make sure to put out any fire or flames and immediately stop contact with heated objects. Make use of cold water to cool down the area that was burned. Cooling with ice is not advisable as it may damage the skin. You can apply a cool, wet compress for mild burns to relieve the pain. Taking acetaminophen or ibuprofen is also advisable. This would further heal the burned area. 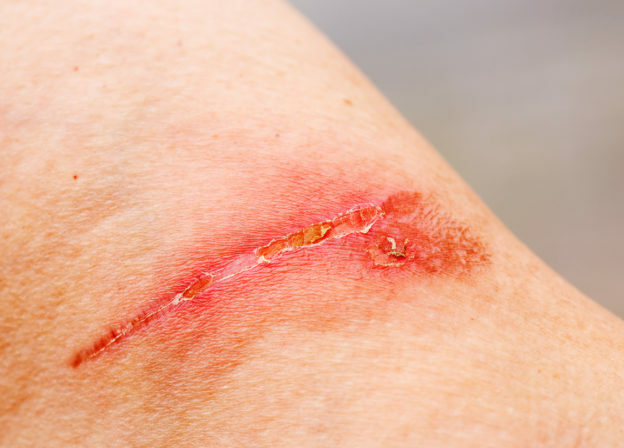 It is applicable to apply a loosely sterile bandage or sterile cloth to the burned area for severe burns. Do not remove the loose skin or pop the blisters. Burns expert in Miami advise people to seek medical help for proper treatment especially if the burn is severe. Electrical burns occur when the body comes in contact with a live electric current. When that happens, you may be injured due to the strong jolt entering your body because the systems of our body is not resistant to electricity. Electrical burn injury is commonly caused by contact with a worn away extension cord. Low-voltage electrical burns can occur in the mouth, which usually happen to young children when they accidentally place non-insulated cords in their mouth. To avoid this, create a safe environment for your children, make sure your electrical cords are stored away in a safe place. Electrical burns may be visible on your skin if the electric current runs through your body. Severe electrical burns need immediate medical care as they can affect internal tissues and muscles. These may cause several negative effects to your health. Thoroughly rinse the burned area with running water for about 10 minutes. If it occurs in the eye, wash it for 20 minutes to remove the chemical residues. Severe cases of these types of burns need immediate medical treatment. You can consult our burns expert in Miami who specializes in treating different types of burns and reconstructive plastic surgery. This entry was posted in Miami burns expert and tagged Miami burns expert on March 17, 2019 by kpeacy.